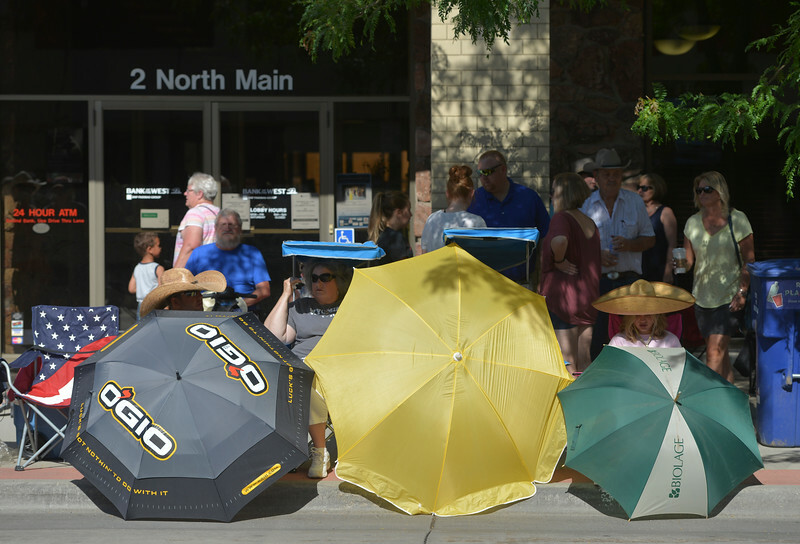 People hide from the hot sun as they wait for the Sheridan WYO Rodeo Parade Friday morning on Main Street. 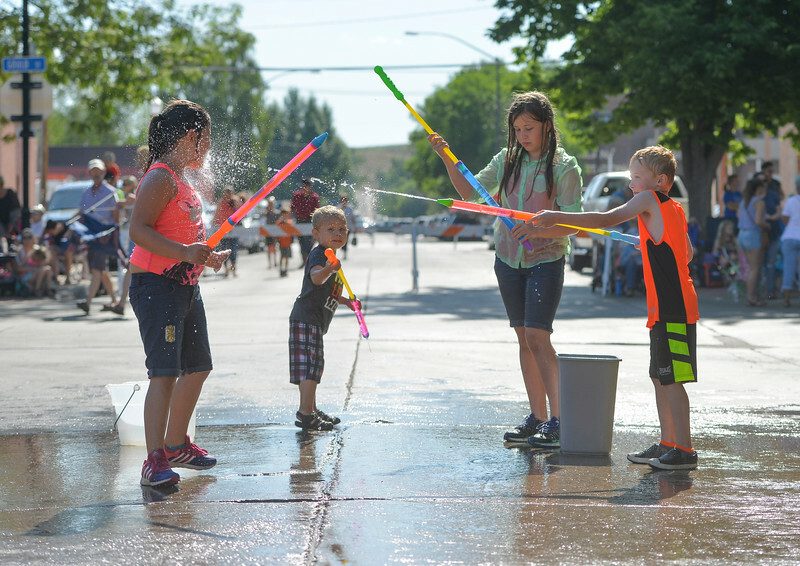 Children spray each other with water guns as they wait for the Sheridan WYO Rodeo Parade Friday morning on Main Street. From left, Adyson Rosalez, 6, Taisyn Merker, 3, Kiaya Allen, 11, and Briston Heide, 7. 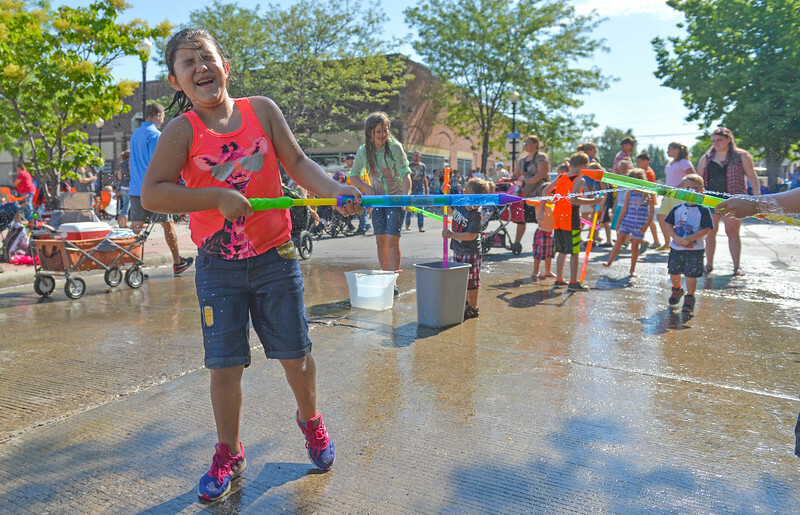 Six-year-old Adyson Rosalez sprays a water gun with other children as they wait for the Sheridan WYO Rodeo Parade Friday morning on Main Street. 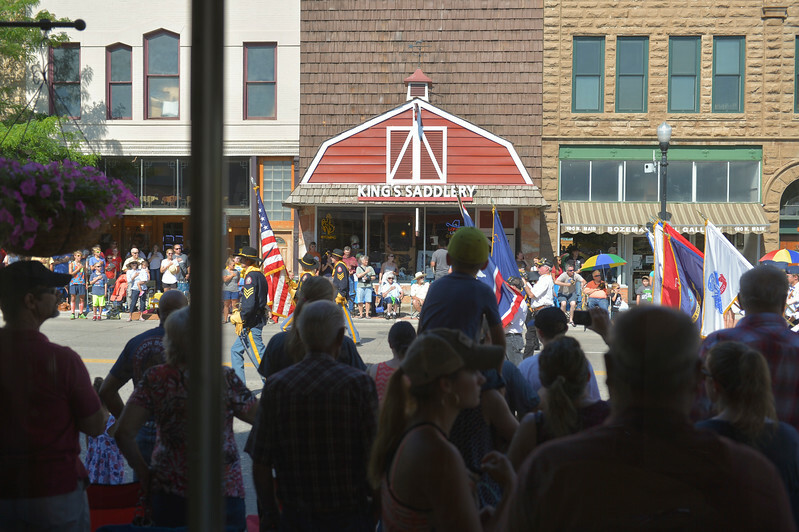 Parade goers look on as the Drum and Bugle Corps marches by during the Sheridan WYO Rodeo Parade Friday morning on Main Street. 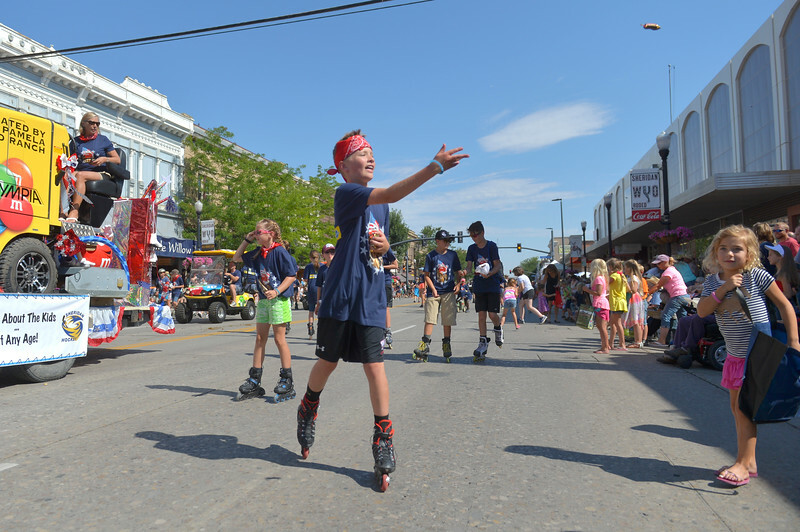 Sheridan Hockey kids toss candy during the Sheridan WYO Rodeo Parade Friday morning on Main Street. 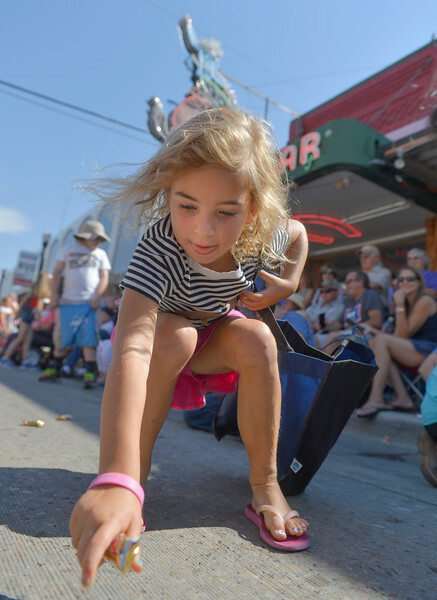 Six-year-old Stella Stroud picks up candy during the Sheridan WYO Rodeo Parade Friday morning on Main Street. 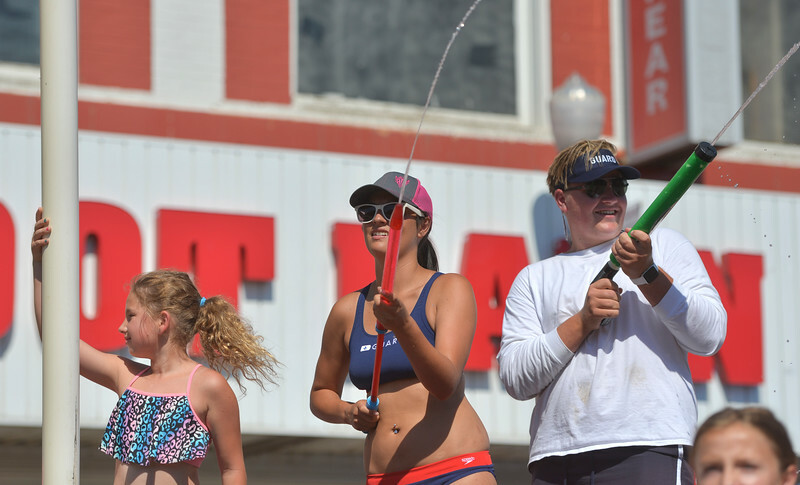 Kendrick Pool life guards Elizabeth McDougal and Tom Terry spray parade goers as Sidney Martinez, left, looks on during the Sheridan WYO Rodeo Parade Friday morning on Main Street. 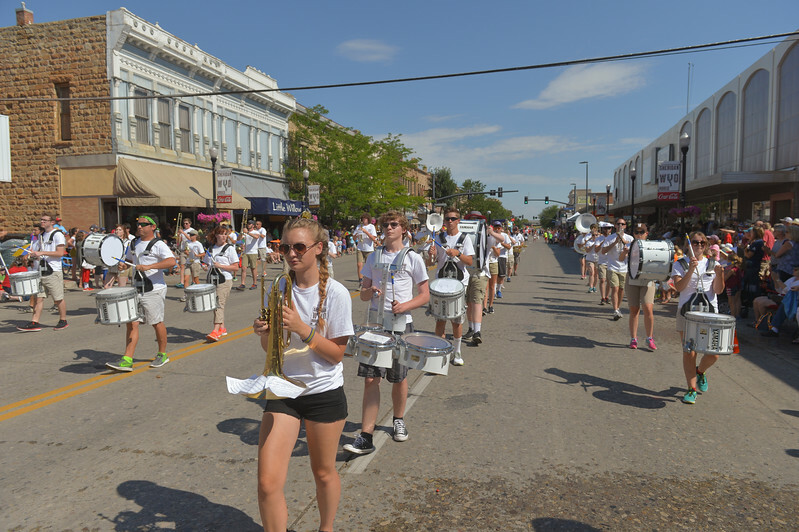 Members of the Sheridan WYO Rodeo Band march during the Sheridan WYO Rodeo Parade Friday morning on Main Street. 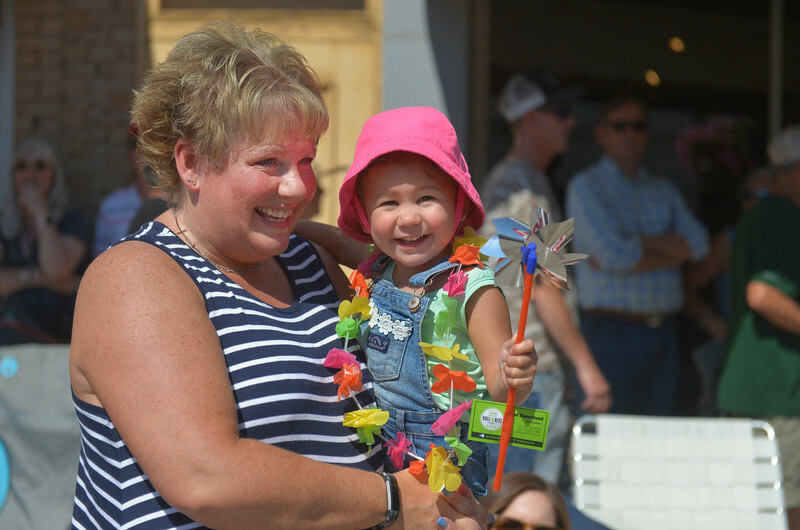 Lori “Aunt Lulu” Ostendorf holds her two-year-old niece Aria Bealer during the Sheridan WYO Rodeo Parade Friday morning on Main Street. 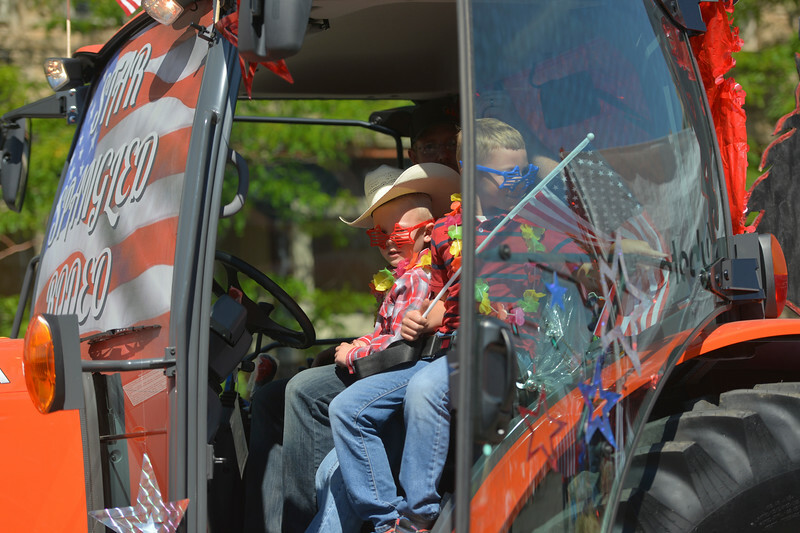 Children ride in a tractor during the Sheridan WYO Rodeo Parade Friday morning on Main Street. 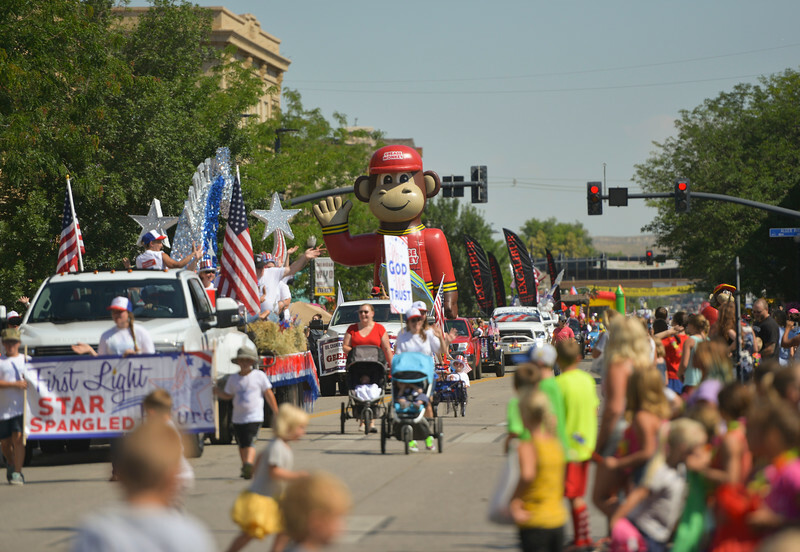 Parade floats make their way up the street during the Sheridan WYO Rodeo Parade Friday morning on Main Street. 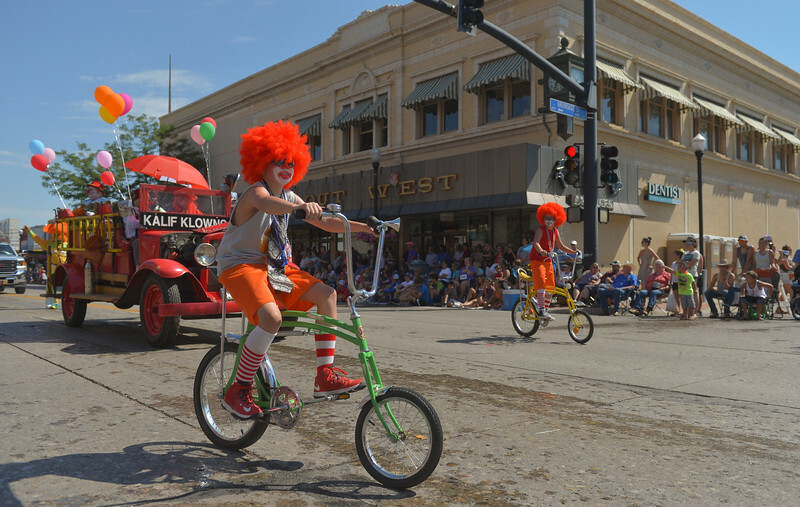 Kalif Shrine klowns ride bikes during the Sheridan WYO Rodeo Parade Friday morning on Main Street. 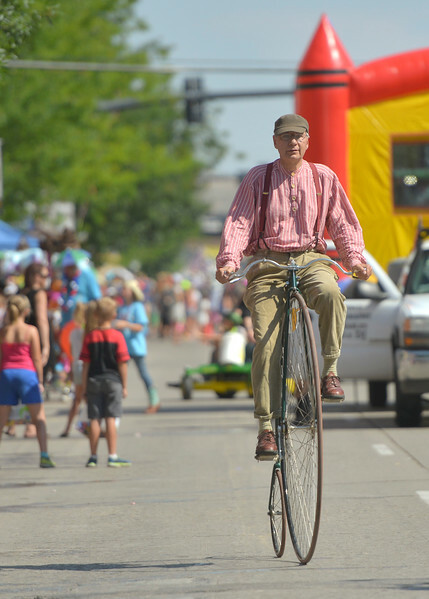 Rich Urbatchka rides a penny farthing during the Sheridan WYO Rodeo Parade Friday morning on Main Street.